The head line is one of the most important elements of your ad, it needs to have a catchy call to action written all in CAPS, various test has proven that using capital letters can improve the click through rate of your ads. Once you have created the headline you can start working on creating a Facebook image size 1,200 x 628 pixels that is relevant to your call to action, the more specific the image is the more clicks and conversions your ad receives. For example, if you are looking to generate leads from a specific area we highly advise that you include the name of the area in your ads. If you are looking to generate buyer leads one great strategy is to target first time homebuyers and direct them to the properties for sale page on your website. Or target those who are likely to move with a call to action such as get a free home evaluation, since those who are likely to move are also likely to sell and therefore would want a home evaluation to start the process of selling their property and moving to another one. landing page or capture page is a single web page that appears in response to clicking on an online ad, these landing pages are known to very focused with a clear message and a great call to action. Any real estate agent who is serious about generating leads online should invest in creating a dozen or so landing pages with different methods. 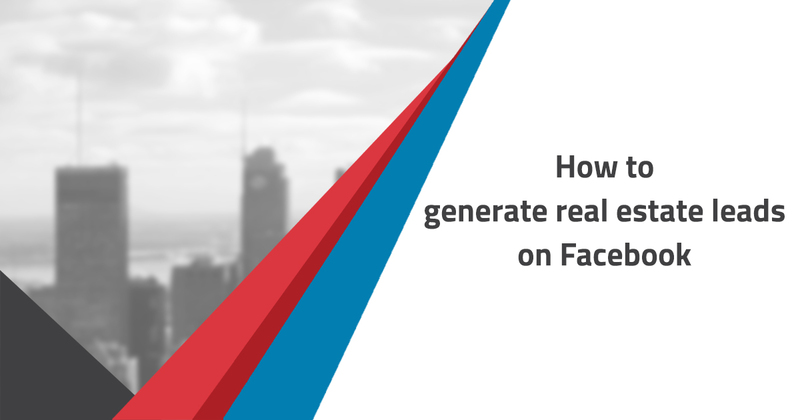 If you are looking for assistance or to learn more about how to generate real estate leads on Facebook we’re happy to help!